Alpha GPC is a novel form of Choline that can readily cross the blood-brain barrier. 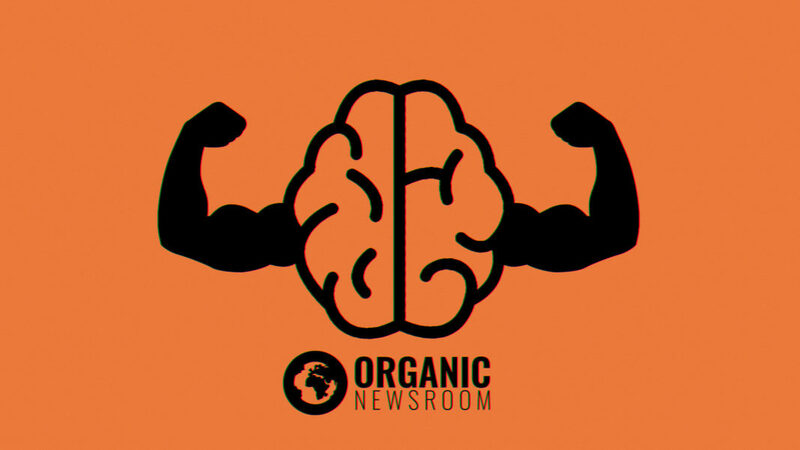 It’s a powerful cognitive-boosting compound, can help improve athletic performance, and has even been shown to increase growth hormone levels. This compound gets a lot of attention and we felt it was worth some discussion. L-alpha-glycerylphosphorylcholine (Alpha GPC) is one of only a handful of phospholipids that is able to be effectively supplemented through oral use, some others being CDP Choline and Phosphatidylcholine. Choline is essential to human health and plays a vital role in helping our brains develop, reduce inflammation, ward off heart disease, and even fight certain types of cancer (R). There hasn’t been extensive research to confirm that Alpha GPC offers all the same benefits but it’s likely a close comparison. Where Alpha GPC stands out is in its ability to cross the blood-brain barrier. We consider it to be one of the best nootropics on the market, but there are many other benefits worth considering as well. Alpha GPC is generalized as a cognitive-enhancing compound that offers all of the benefits of Choline compounds, though is more easily-absorbed and able to be utilized by the brain (R). Choline compounds such as Alpha GPC and CDP Choline are commonly used synergistically with other Nootropic compounds (stacking) to help ‘balance’ things out. Compounds that increase acetylcholine uptake such as Aniracetam, Piracetam, or other Racetams can quickly neural choline. Alpha GPC can be helpful to sustain prolonged increased usage of acetylcholine while helping to mitigate common side effects such as headaches or brain fog (R). Many of the benefits of Alpha GPC are related to its ability to cross the blood-brain barrier. There are many other benefits attributable to Alpha GPC that are more connected to its similarity to other choline compounds, such as CDP Choline or Choline Bitrate. Each of these compounds serves as acetylcholine precursors and play an integral role in our overall health and wellness. Below you’ll find some brief discussion of some of the more notable and more characteristic benefits of Alpha GPC. One study that investigated found that Alpha GPC was able to help to maintain reaction times, reduce overall stress, and maintain visual and auditory alertness in college students undergoing intense study sessions (R). This is a good example of Alpha GPC’s overall impact on cognitive performance and is supported by many other studies as well. This suggests that Alpha GPC could likely help replace more dependency-forming study aids such as Ritalin, Adderal, and Vynanse. One test, on college-aged males, found that regular supplementation with Alpha GPC produced a significant improvement on measures of physical strength (R). In this study, participants took a 600mg dose of Alpha GPC for six days and were then tested for physical strength. The test was an isometric mid-thigh pull, which involves standing on a platform and pulling against a fixed bar which rests approximately mid-thigh. Strength is assessed by a measure of downward force on the platform. In this study, all participants in the Alpha GPC group showed significant improvements in lower body strength. The above study reporting on strength improvements could arguably be included here. However, we felt athletic performance can be best characterized by several measures including endurance, agility, speed, and strength. One study measured all such markers and their improvements under Alpha GPC supplementation. This study found no significant correlation to athletic performance and Alpha GPC supplementation (R). We’d like to point out that the researchers of this study noted the variability of efficacy among different participants and recommended further research with tighter controls for doses and timing. This study also found no significant improvement with doses of 200mg of caffeine vs placebo either. This research is backed up by similar studies concluding Alpha GPC likely isn’t effective at improving athletic performance (R). Cognitive enhancement is the hallmark salespoint of most Alpha GPC supplements. The ability of Alpha GPC to readily cross the blood-brain barrier makes this a sensible premise. One of the largest studies ever, the Framingham Heart Study, investigated lots of dietary and lifestyle habits of over 5000 individuals and is now on its third generation of participants. Data from this research is used to investigate many different compounds across many different investigative premises. One such analysis found that higher levels of supplemental choline were attributed to significantly-higher measures of cognitive performance. This includes measures of verbal memory, visual memory, verbal learning, and executive function (R). This analysis found that higher levels of normal dietary choline were not attributed to significant increases and only supplemental sources seemed to show marked improvement. This data was obtained from individuals without existing dementia conditions. Alpha GPC has shown a remarkable ability to help boost and sustain overall mental performance. This effect has been seen in many different age groups across many different testing means. One of the more notable studies, investigating Alpha GPC’s effect on declines in cognitive performance associated with Alzheimer’s, found significant improvements when administering 400mg doses three times per day. This research observed Alpha GPC significantly improvement scores of cognitive performance as measured by the Alzheimer’s Disease Assessment Scale-Behavioral Subscale (ADAS-Behav), the Alzheimer’s Disease Assessment Scale-Cognitive Subscale (ADAS-Cog), the Alzheimer’s Disease Assessment Scale (ADAS-Total), the Clinical Global Impression (CGI) scale, the Mini-Mental State Examination (MMSE), and the Global Deterioration Scale (GDS) (R). There are no recommended daily allowance (RDA) figures issued by the FDA for guidance on how much Alpha GPC should be considered an adequate dose. Some of the more notable studies which have found Alpha GPC to be effective in increasing Growth Hormone levels and strength have used 600mg doses. 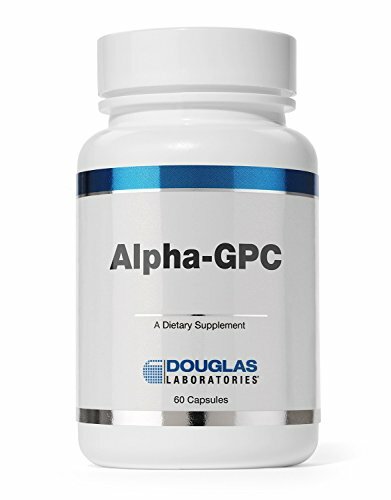 Alpha GPC is a little less than half Choline by weight, and therefore a 600mg dose of Alpha GPC would be the rough equivalent to a 240mg dose of Choline. This should only be regarded as a rough estimate, as the absorption rates of these two compounds differ both in action and in efficiency. As with many dietary supplements, specifically with Nootropics and Growth Hormone stimulating supplements, there is little clinical data to describe the types of side effects one might experience with Alpha GPC. Alpha GPC is generally regarded as safe and is well tolerated a levels below 1 gram per day. In higher doses, anecdotal evidence suggests that some common side effects might include dizziness, headache, and low blood pressure. Alpha GPC, along with other Choline compound,s are also known to cause sluggishness in higher doses without increasing desire to sleep. As with all supplements, it’s advisable to begin with lower doses and work up to higher levels to accurately gauge the effects and response to new compounds. Alpha GPC has demonstrated the ability to increase overall dopamine and serotonin levels in the brain which was shown to not be possible with a comparable dose of CDP Choline (R). CDP Choline is regarded as generally being as effective as Alpha GPC at benefiting brain health through the regulation of acetylcholine levels, but has limited clinical data to suggest it is capable of stimulating growth hormone levels like Alpha GPC. Alpha GPC is insanely water-soluble, and is often sold as a 50-50 blend with a silicon dioxide, or other ‘inactive’ ingredient. CDP Choline is generally available at lower prices than Alpha GPC as well. Alpha GPC’s ability to cross the blood-brain barrier making it a remarkable supplement for all things related to cognitive health. Many benefits of Alpha GPC are similar to those observed with other forms of choline as well. Alpha GPC has the added benefit of being very water soluble and can be taken on an empty stomach. As with all supplements, we’d suggest only purchasing Alpha GPC from quality supplement brands renowned for their purity and potency. How’d we do? We work hard to provide useful and concise summaries of topics we think our readers will enjoy. Let us know how we’re doing by rating this article!